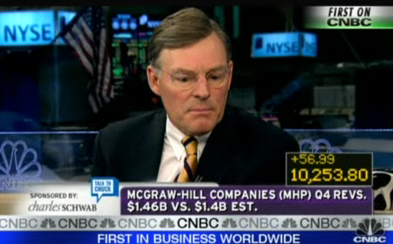 McGraw-Hill. Ever heard of them? If you’ve picked up any textbook written in the last hundred years or so, chances are they published it. Well, their CEO just spilled the beans on Apple’s not-so-secret surprise on live TV. You see, publishing industry? This is why you can’t have nice things.